Magda Solé psychologist and psychotherapist, founder of the IPTB (Institute of Transpersonal Psychology in Barcelona) and ACT President (Catalan Association Transpersonal). Holos “Shamanic Expeditions” a team with passion to create transpersonal and holistic journeys, contemplating the human being as a whole. “Holos” in Greek means “all”. We integrate body, mind and spirit in search of healing. Aware that it is a journey of discovery, learning and approach to life and spirituality, a constant of the human condition. We offer trips to places in the world where the ancient shamanic wisdom still survives. These provide us with opportunities to wake up, work mindfulness and the expansion of consciousness. They are transforming experiences by three basic elements: the environment, the shamanic wisdom and tutors. The environment allows us to enter in contact with the heritage of the wise men who left their mark on the memory of the local community, savoring the magic word that is traveling and merging it into an exquisite mixture with another: Heal. “Traveling healing.” Lost philosophy that seeks to promote the enjoyment and calm allowing the traveler to savor this time and quiet environment. The ancient wisdom transmitted shamanic rituals help us explore and expand our consciousness: Shamans, fire, singing, drumming and dancing. The tutors will provide the necessary expertise to fully live the experience . 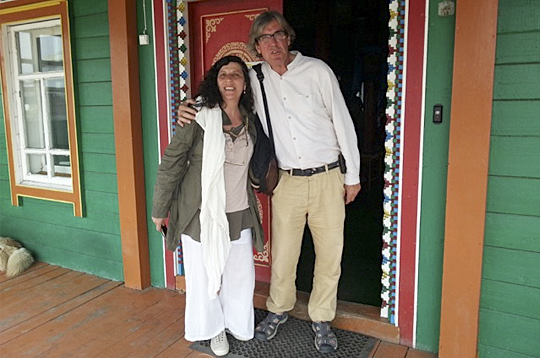 Experts in travel and transpersonal initiation journeys.